African champion in the women’s 100m, Jose Maria Ta Lou has recommended jail term for doping athletes. The Ivorian sprinter was speaking during an interview at the ongoing CAA African Senior Athletics Championship holding at the Stephen Keshi Stadium in Asaba, Delta State. 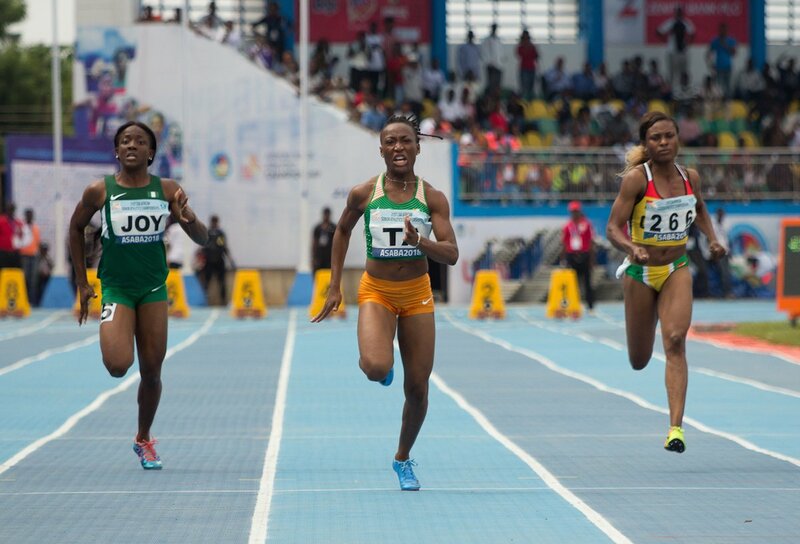 She has set the Athletics Championship in Asaba alight after winning the women’s 100m event on Thursday before leading the Ivory Coast team to a silver medal in the women’s 4X100m relay race behind the Nigerian team. Marie Joseé Ta Lou thinks criminalizing and jailing athletes who are caught doping is the right thing to do.